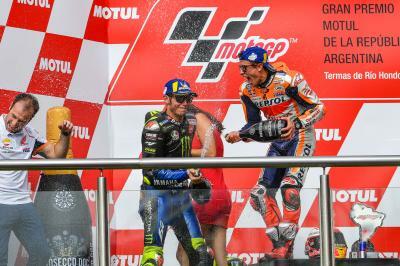 Petronas Yamaha SRT’s Fabio Quartararo put his Qatar GP nightmare behind him at Termas de Rio Hondo by starting a MotoGP™ race from the grid for the first time and collecting his first premier class points. But with that came new challenges for the Frenchman to overcome. 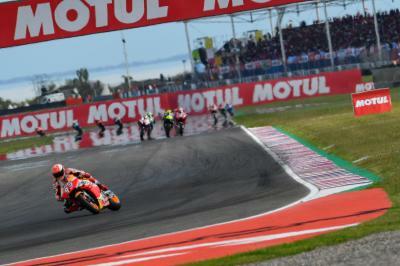 Quartararo was again the fastest rookie throughout the vast majority of the weekend in Argentina before taking the chequered flag in eighth place on Sunday, after complaining of a "quite difficult" start to the race. 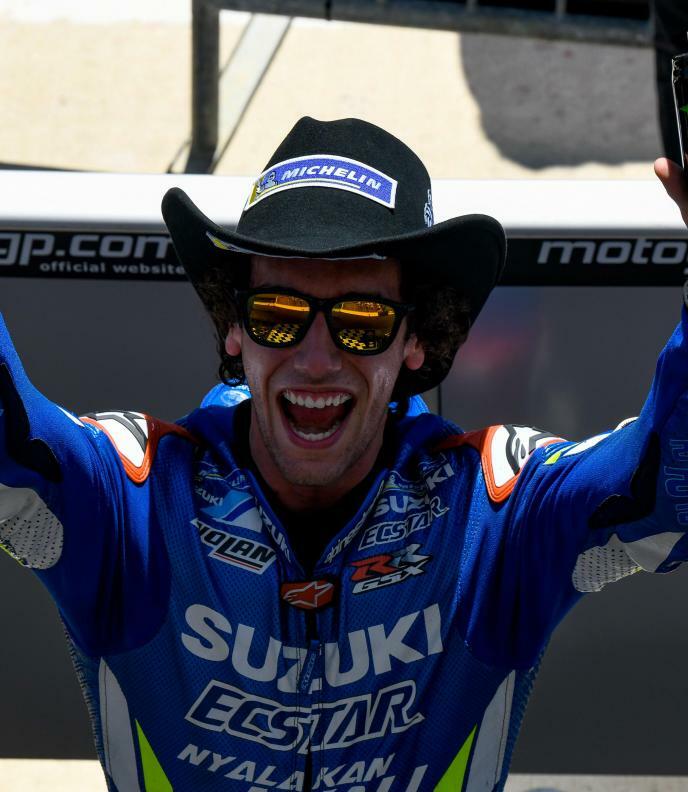 "I am very happy with what we have done,” said the 19-year-old, while speaking to crash.net. “I was worried before coming here because we had not tested at the track, and it is a circuit at which I had always struggled in other classes, but I was always in the top ten this weekend. 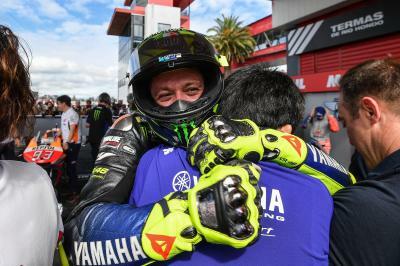 The extra weight of his Yamaha M1, due to a full fuel tank for race distance, brought it’s own challenges for Quartararo, something he explains is all part of the process in a rookie year. As a result of setting the fastest lap of the race and starting from pitane in Losail, the talented teen quickly ran into tyre troubles with the lack of grip forcing him to slip outside of the points. 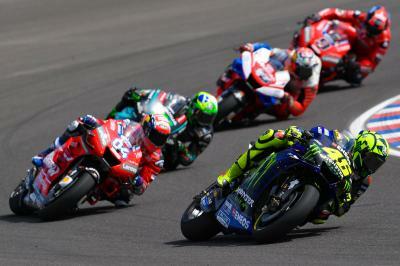 However, in Termas, he put those learnt lessons into practice. 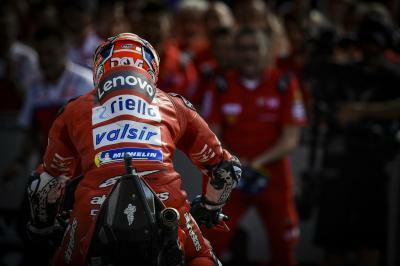 "I was making a good race, picking up the bike out of the corners and taking care of the tyre. Maybe I could catch Nakagami but I said, 'top ten is okay, the other guys are five-seconds behind so keep calm and enjoy the last laps on the track'. After winning his debut World Championship podium in Texas four years ago, at the age of fifteen and in only his second Grand Prix start, Quartararo has struggled there in recent years with 13th, 12th and 15th his last three finishes at COTA. 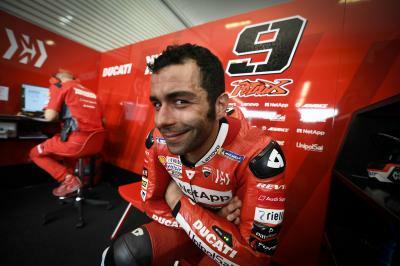 "Austin is really hard to ride, also I don't know it in MotoGP, but for sure it is one of the most difficult tracks. But we need to work as we did here, where the team said 'don’t worry in the first session if you are P20, P18, P15. Keep focus on your riding and learn the track'." 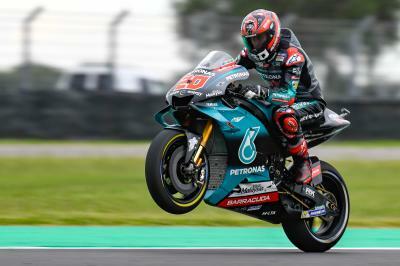 Quartararo heads into Round 3 of the MotoGP™ World Championship now tied with Joan Mir (Team Suzuzki Ecstar) for top rookie with eight points each.